Summer travel season is in full swing, and you and your feet are ready to hit the road. But before you embark on your next journey, follow these tips to make sure your feet stay safe and healthy. Bring along a basic foot care kit that includes: saline solution – for cleaning minor foot scrapes or blisters; adhesive bandages or gauze; and some antifungal cream or powder – for preventing or treating athlete’s foot. If you suffer a serious foot injury, be sure to seek medical attention immediately and follow-up with an appointment with your regular foot doctor once you return from vacation. Wearing the same shoes on your vacation can quickly lead to smelly feet. Moisture and bacteria can build up inside shoes if you don’t allow them time to air out between wearings. Pack along a pair of flip-flops or shower shoes to use in moist common areas like pools and locker rooms where it can be easy to pick up athlete’s foot or toenail fungus. However, resist the temptation to wear flip-flops anywhere else, as they can cause foot pain and problems that will not only ruin your vacation, but last long after you get home. Vacation often means eating foods that you normally wouldn’t or shouldn’t. Try to limit your intake of salty foods and alcohol which can lead to dehydration that make your feet and ankles swell. If you have gout, watching your diet is especially important if you want to prevent a painful flare-up that could ruin an otherwise pleasant trip. Avoid foods that are high in purines, like red meat, shellfish, fatty sauces, and excess alcohol. Some people experience painful leg and foot swelling, especially during long flights. Preventive suggestions include avoiding salt and wearing support stockings if necessary. Taking the time to get up and move around while in the air helps to keep circulation going, making for less chance of swelling. You also should flex and extend your feet and ankles and even raise knees while flying if you have the room to do so. Watch your diet. The day of and day before you travel, avoid salt as much as possible. Salt can cause you to retain fluid, which can make your feet swell even more. Drink water. Drink plenty of water the day before and the day of the trip so that you don't start out dehydrated. Bring a big bottle of water with you on the plane, and refill it as needed to stay hydrated. Another plus to drinking a lot of water: You will need to get up and walk to the bathroom when nature calls. Walk around. 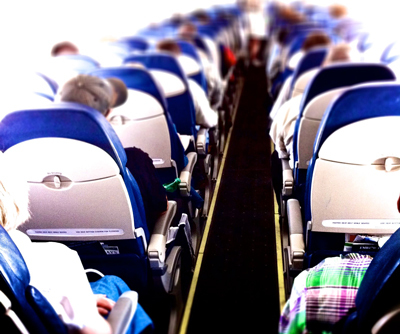 Get up several times during the flight, even if it's just to pace up and down the aisles, to get your blood flowing. Try doing this several times each hour to prevent swelling in the feet and legs. Store your bags overhead. If your feet are fighting for space with your carry-on bags, they'll be cramped even more into awkward positions that cut off the blood supply. Ask for an aisle seat. When you can, get an aisle seat. It will be easier for you to get up and walk around, and you'll have more room to keep your feet comfortable. Bulkhead seats (in the front of the plane or each section) and emergency row seats offer the most room for you to stretch your legs. Treat your feet to a massage. Kick off your shoes, prop up your feet, and give them a well-deserved rub. A foot massage will help stimulate blood flow and prevent swelling. Exercise your feet. Even when you can't get up and walk around, you can work the muscles in your feet. Point your toes up and down, side to side to get your feet moving. If your feet are swollen already, a few exercises can help get blood flowing again and reduce swelling. Elevate your feet. If possible, keep your feet propped up to stimulate circulation. If there's no one next to you, stretch out and prop your feet up across the seats. At the very least, prop your feet up on the foot bar of the seat in front of you. If you are trying to relieve swollen feet, propping them up will help them get back down to size and feel better again. Don't cross your legs. Your circulation is already slow when you're sitting for hours, so don't cut it off even more by crossing your legs. Wear proper footwear. Wear compression socks or hose and avoid normal socks that constrict above the ankle. Also, slip-on shoes work the best. They can be removed easily and allow you to massage your feet or exercise your feet. 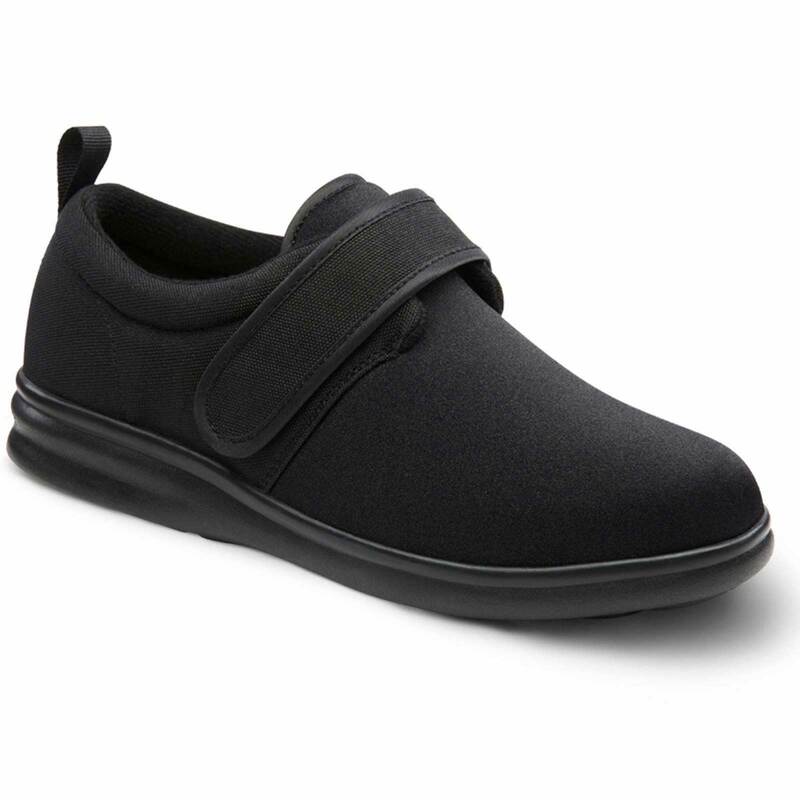 We suggest fully adjustable straps and uppers, to help relieve tight shoes if your feet swell during travel. Speaking of proper footwear, Innovate Comfort Shoes wants you to enjoy your travels, not suffer from pain and discomfort. Taking care of your feet every day starts with the perfect fitting shoe, and vacation travel becomes far more enjoyable when your feet are pain-free and comfortable. 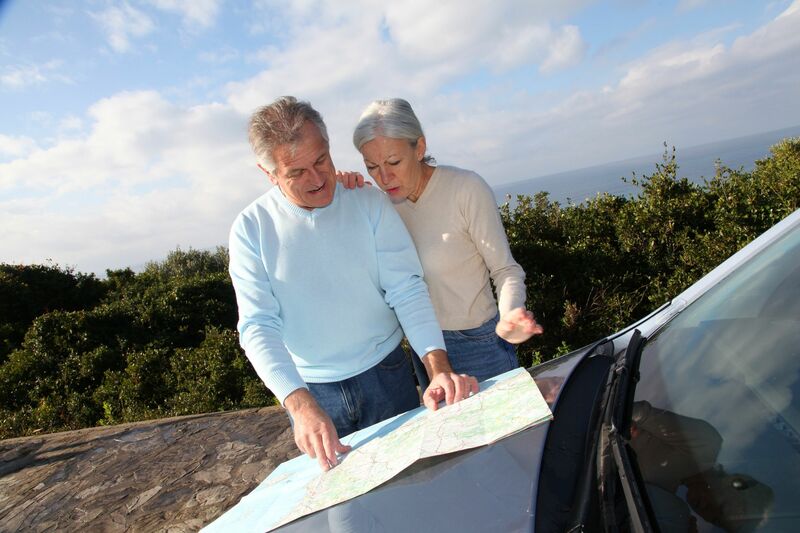 Let us help you find just the right shoe for your lifestyle and travel plans. Give us a call, wear the right shoes, and have a safe and happy holiday!